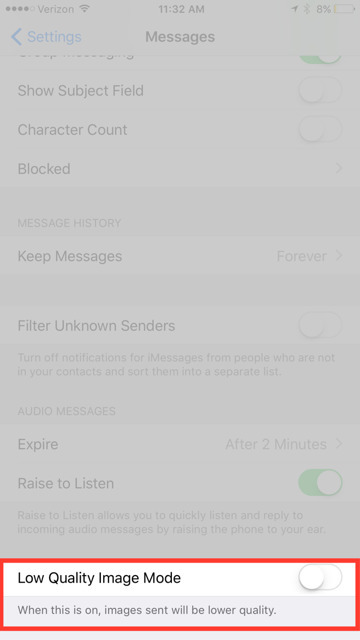 Users can now send photos iPhone in low quality mode, conserving data and battery usage via a new feature found in Apple's Messages app in iOS 10. Here's how to use it. 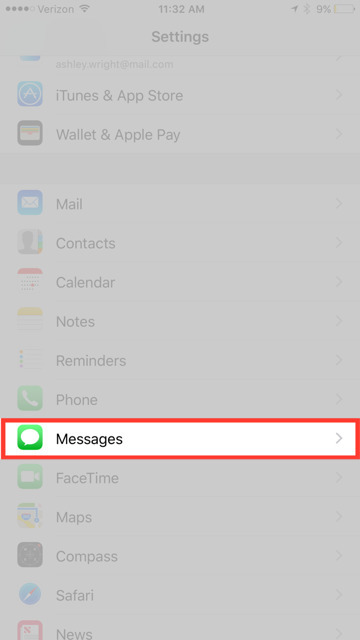 Previously, images could only be sent in their original size and resolution in the Messages app. To send lower quality or smaller photos, users had to hop over to the Mail app where you had Low, Middle, Full and Original downscaling options. For those relying on cellular data to send original-sized photos, the data use can add up, at a rate of three to five megabytes per photo— and even more for a Live Photo. But with iOS 10, a new Low Quality Mode in Messages cuts images roughly to around 100 kilobytes each. The actual size and compression of the low quality image depends on the quality and size of the original photo. To turn on low quality image, go to Settings, then Messages then scroll down to the very bottom where there is a new option for Low Quality Image Mode. To disable it and return to full-quality images in Messages, just follow the above directions and switch back to sending photos full size. For more iOS 10 tips and tricks, see AppleInsider's full coverage.